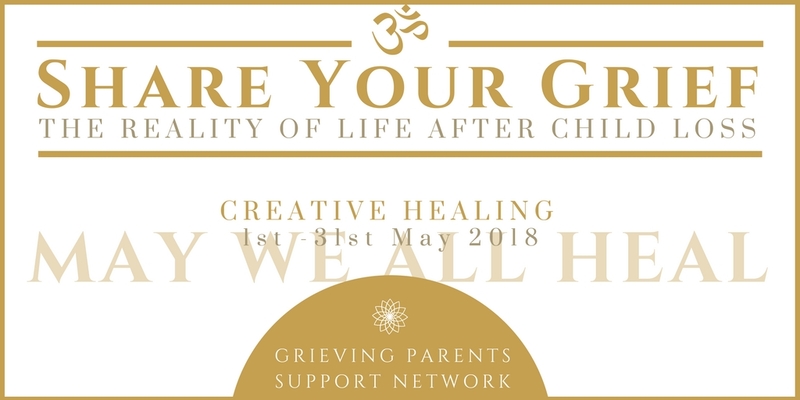 I’m honoured to have you join May ‘We All Heal 2018 – Share Your Grief’, our mindfulness-based conscious way to give your heart and soul the space to focus on grieving and healing. This is the 4th time we will be running May We All Heal (MWAH). You can read more about its origin here. Thank yourself for being here. Even if you’ve been part of MWAH previously, take a few minutes to read about this year’s event, the possible alternatives to choose from and the most important details. 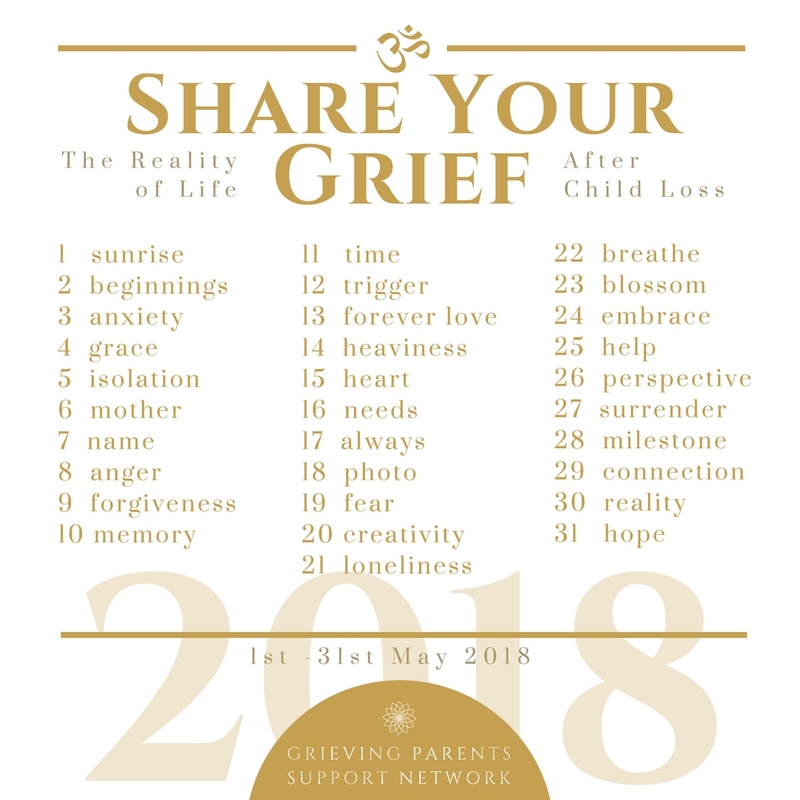 The topic for MWAH 2018 came out of the realisations gained from our last community-written book project Surviving My First Year of Child Loss: Personal Stories from Grieving Parents. 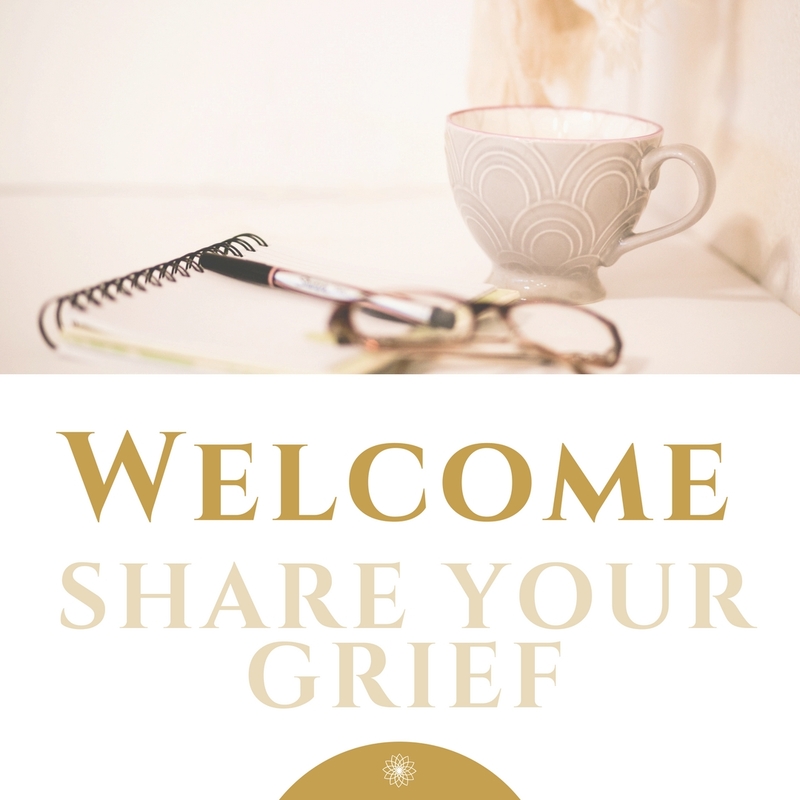 There lays a huge power in being real about our experience of grief, both in personal healing through the changes we go through when writing, as well as the service we make to the world in letting them know about how it really is. We encourage you to reflect on what your story means for you, and how you want to share your experience, no matter what the world around you might think. The program contains 31 prompts, one for each day in May. This year, I’d like YOU to provide simple, single words as prompts which leave room for your personal creative interpretation. Add your ideas one the event page post here. The final prompts will be shared on the event page and on MWAH’s IG channel. – Choose your own prompts, if you feel the ones we suggest do not relate to you or your experience. – Focus on random acts of loving kindness daily for 31 days, following the prompts. – Write your child’s name in 31 different ways, embedding the prompt in your reflections. – Write 31 names of children of your fellow mothers-in-loss. You might like to check out #lovesobig hashtag on Instagram (IG) and Facebook (FB) to get an idea of what this could look like. Sadly we don’t need a village to raise our child because he or she has died. Instead, we need a community of like-hearted parents who support us through the mothering/fathering** of our child, the child we won’t get to bring up in real life. Please help spread the word about MWAH. Tell your support group and others you know who might benefit from this. You can do this by sharing the event on Facebook or tagging your friends in IG posts about the project. 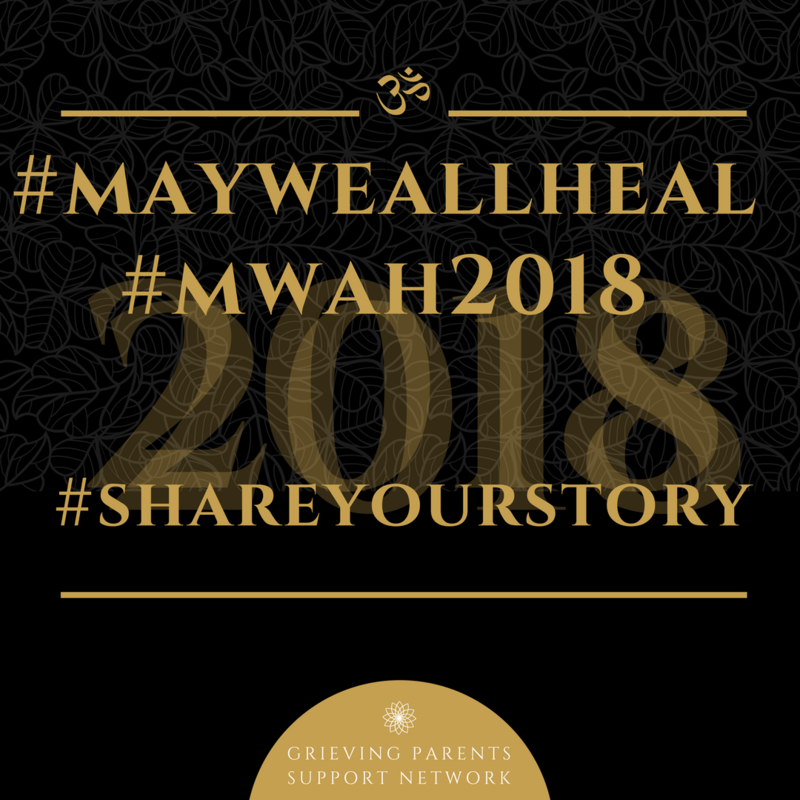 Please use the following hashtags when sharing: #MayWeAllHeal and #MWAH2018 and #shareyourstory. This also allows you to find other MWAH participants. Share on your personal IG and FB or share on the May We All Heal page. The event page is a temporary page and due to FB’s rules, it can only span over a two week period. 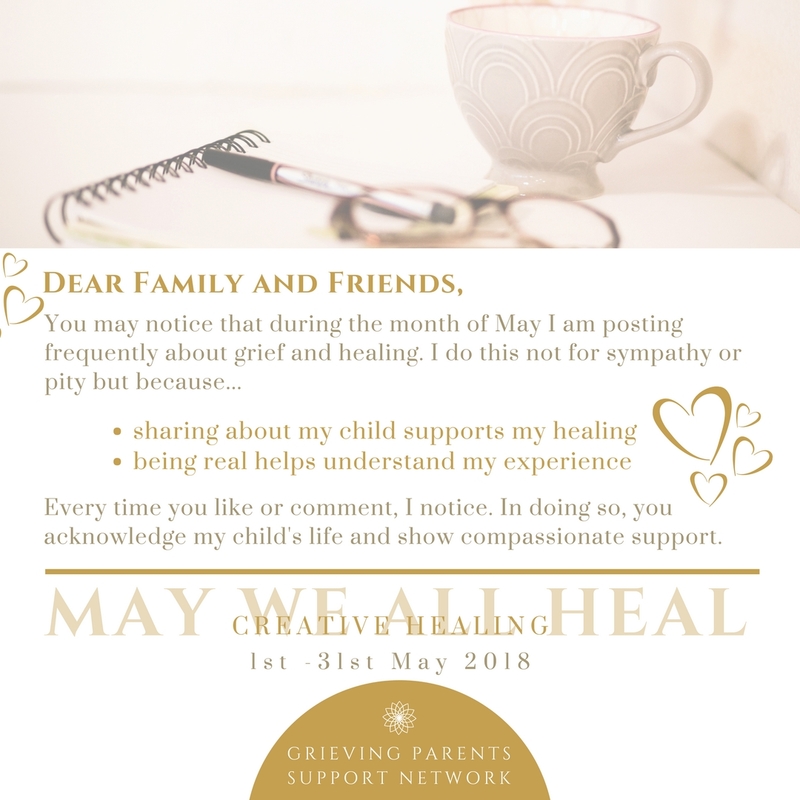 On the May We All Heal page I will create a post each day with the prompt as the title. You are invited to add your reflections (image or words) as a comment. Go the MWAH 2018 event page to find this image ‘Dear Family & Friends’. It’s good to let them know what you are doing and how they can support you. There will be a couple of short videos on the MWAH 2018 event page with some pre-event tasks as of April 1st. Check them out, as they will support you through the process. …I can’t do every day? Don’t worry about whether you can do this every single day or not. It’s not about how many days you give yourself the time to reflect. It’s about the fact that you do. …I don’t have the companion book? You can order a soft or hardcover version in the shop. Alternatively, choose a notebook that fits your needs, with respect to size and the paper quality (preferably without any lines or grids to allow free creative expression). * ‘Child’ includes baby, babies, child and children, no matter the age or gestation they died. ** Even though this event is addressed to ‘mothers’ and ‘mothering’ it applies similarly to ‘fathers’ and ‘fathering’. Given we are supporting each other through the month of May because of Mother’s day, I speak in the female version.